Welcome to the official website for the national airsoft event - hosted at one of the UK's most popular, open and diverse airsoft venues in the country. 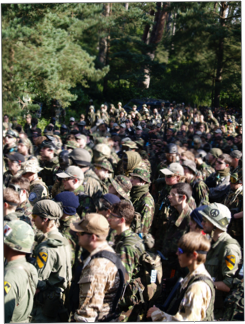 The NAE has been running since 2007, when we made history by hosting what was the largest airsoft event ever held in the history of UK airsoft, bringing in players from all over the UK and Europe. 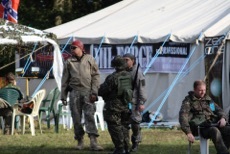 It's now become THE airsoft event of the year, with a great festival vibe. Every year the NAE gets better - more events and extra activities, interesting and in depth game features and most importantly - all of you to make it a fantastic weekend for everyone involved! We've planned a cracking holiday break for you and your fellow airsoft buddies, whether you are from Glasgow, Belfast, Paris, New York or just down the road in Ringwood. Airsoft is a social thing; it's what makes the sport so good. We always say that a good airsoft day is 60% social, and 40% airsoft. Think about it - it's true. Ground Zero is all about giving you a great weekend that you will be talking about for many months, if not years to come. 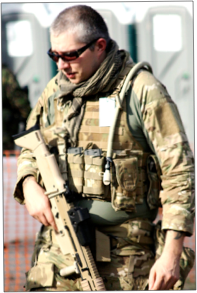 Our focus is on giving you a fantastic all round experience - and that starts in the safe zone with a friendly, clean and fully facilitated event atmosphere, including on-site shops, prizes, on-site bar and airsoft manufacturers from around the world. This spreads onto the 'battlefield' where you will be free to choose what you do, where you go to do it, and when. It is our special style of airsoft gameplay that makes people want to come back time and time again. Sure, you can do your own thing all weekend if that's your style, or you can play like a true operator and make it your mission to grab as many objectives as you can, following the two-day rolling scenario to the letter, or any mix in between. 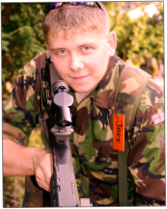 It's all about a great day for everyone - an airsoft holiday - not a timetable. We welcome your entire families for a weekend away camping - it's a great atmosphere and no one gets chance to be lonely and bored! 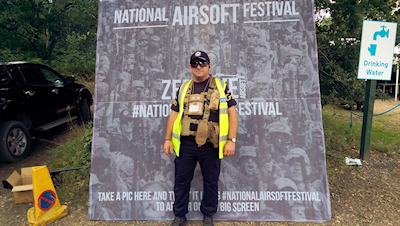 If you are interested in being part of this years largest airsoft gathering take a look around the website, where you will be able to find everything you need to know about what Ground Zero is all about, and what's planned for this year's weekender.